Corey Robinson learned to “pound the rock” at an early age. 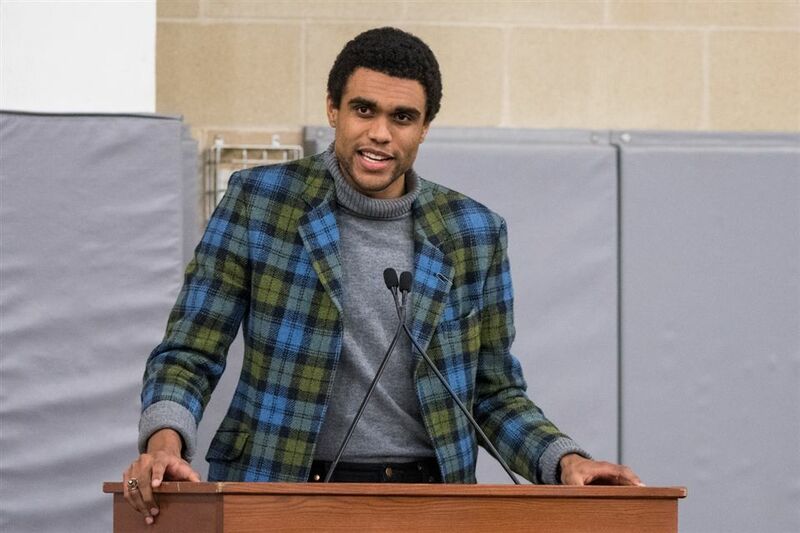 The younger Robinson — former student body president at Notre Dame and a varsity letterman in football — was the keynote speaker at Brunswick’s 89th Annual Father-Son Dinner, on Thursday, March 7. Corey is now following his passion for contemporary art as a business development associate at Sotheby's in New York City, after injuries derailed his promising football career. 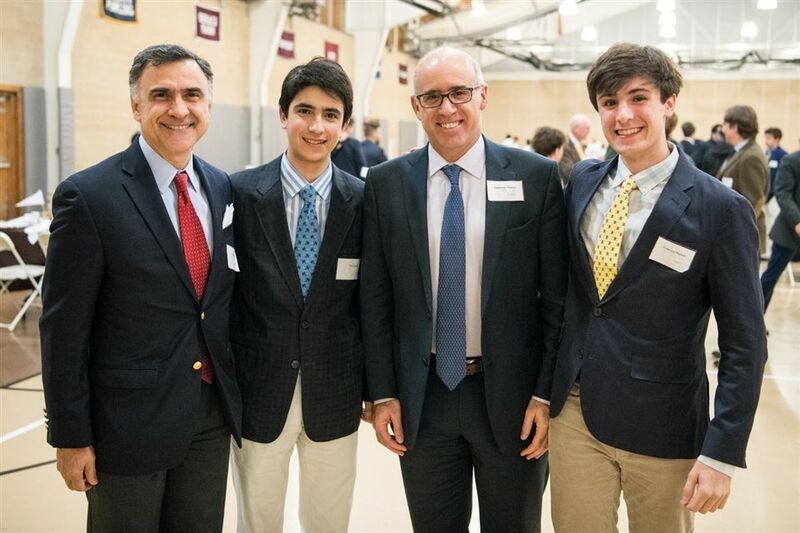 “My dad encouraged me to find my own path and to pursue whatever I wanted to pursue,” he told the audience of more than 700 Brunswick fathers and sons. 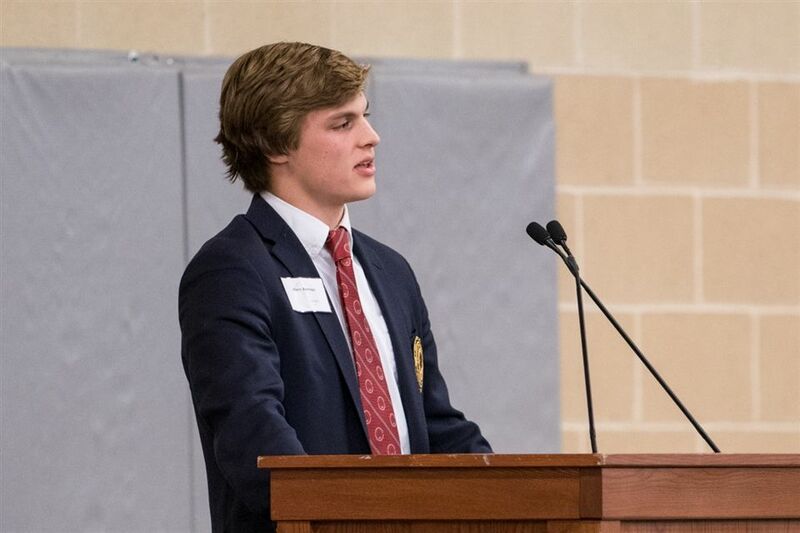 Robinson followed this year’s student speaker, Harry Barringer ’19, a two-sport varsity athlete in soccer and track, as well as a member of the JV hockey team. 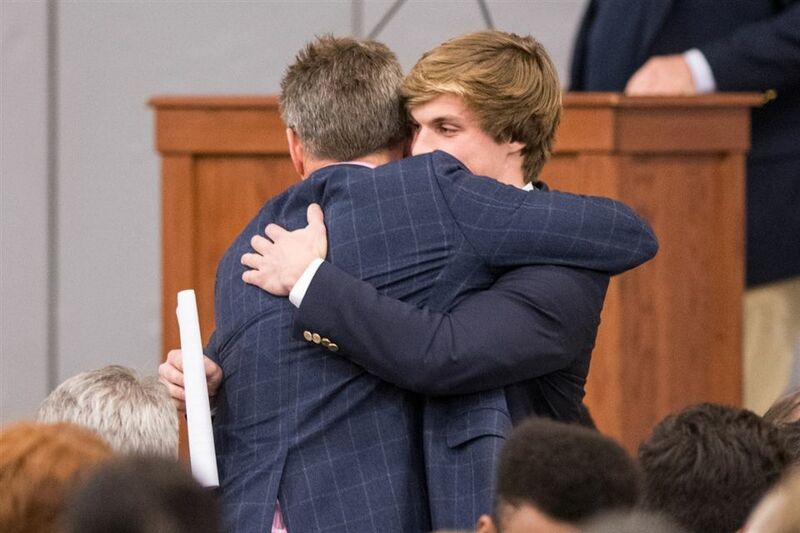 Barringer’s remarks focused on the role fathers, teachers, and coaches play in the development of boys into men — with a special focus on his own personal experience with his dad. “As I grew up, I began to see my dad’s crazy work ethic, his ability to connect with people, and his immense love for my mom, my sister, and me,” Barringer said. At Brunswick, too, Barringer has learned lifelong lessons — especially on the playing fields and on the ice. “From my teammates and coaches, I’ve learned to win and lose with dignity and to leave it all on the field,” he said. 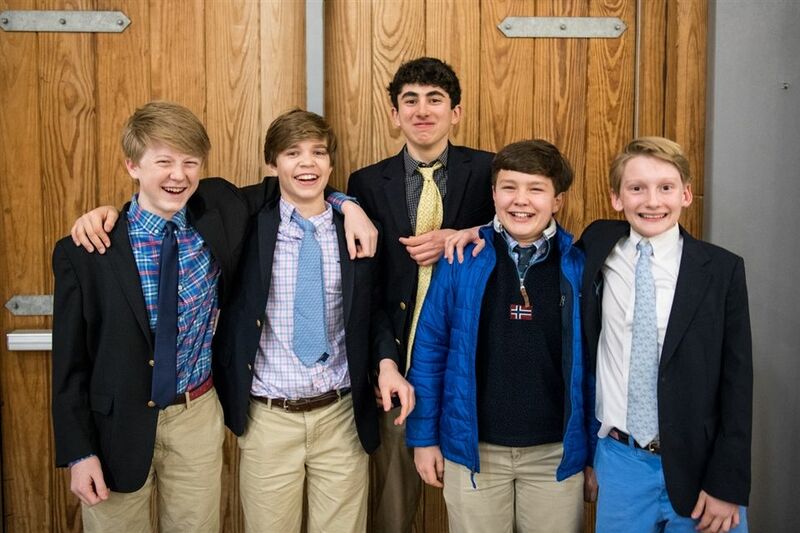 “I’ve learned about the power of fraternity and of boys being bound together in brotherhood.